In a surprise move, the Prime Minister of Burkina Faso, Paul Kaba Thieba along with his entire cabinet resigned from office on Friday. No explanation was provided for the sudden resignation, which was made public in a televised statement by the nation's president, Roch Marc Christian Kabore. "Prime Minister Paul Kaba Thieba submitted this afternoon his resignation as well as that of his government," the president reported. Kabore expressed "gratitude to Prime Minister Paul Kaba Thieba and all its ministers for their commitment to the service of the nation." Thieba became the prime minister of the African nation in January 2016. Recent disappearances of foreign nationals and jihadist attacks by Ansar ul Islam and the Group to Support Islam and Muslims, affiliated al-Qaeda, led to growing pressure for Thieba's resignation in recent weeks, according to BBC. On Wednesday, Canadian geologist Kirk Woodman, believed to be kidnapped by jihadists in the country, was found dead in a gold mine in the country's northeast region. The Canadian citizen was abducted by gunmen on a mining site owned by Vancouver-based Progress Minerals, located about 20 kilometres away from Mansila in the Yagha province, according to a spokesperson for the West African nation's security ministry. Last week, Burkina Faso authorities extended a state of emergency in several northern provinces over increased activities of Islamist groups in the region. The state of emergency was first declared by the president on December 31. 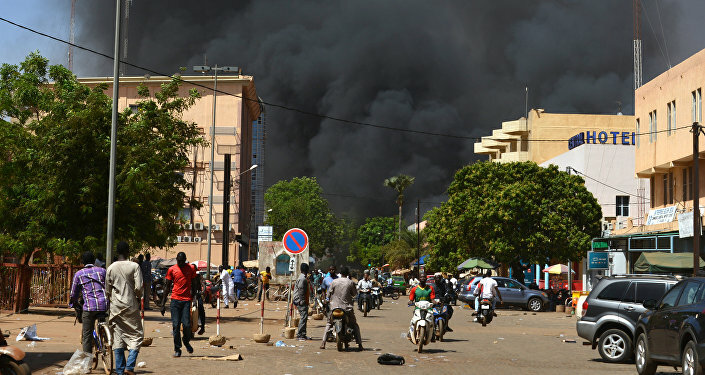 Over recent years, Burkina Faso, a landlocked country in West Africa, has seen an increase in Islamist militant activity by groups in the region linked to al-Qaeda.